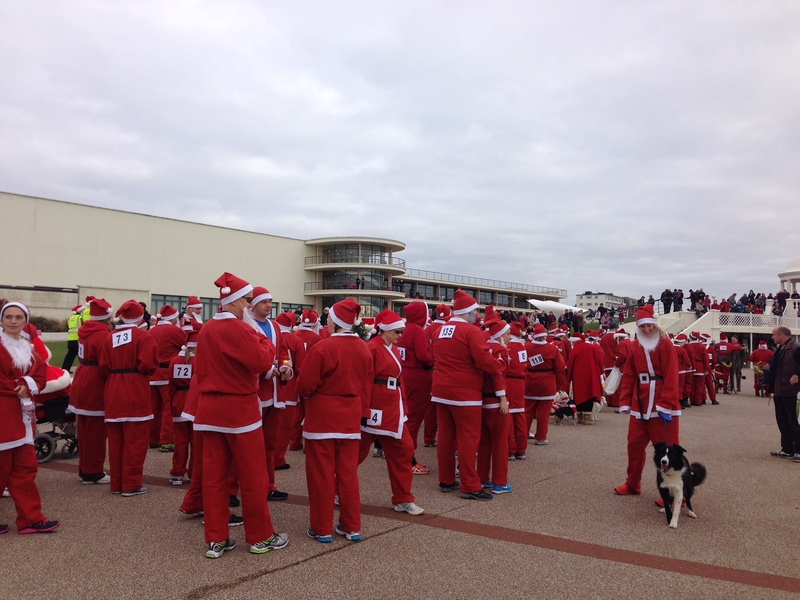 Bexhill Lions Santa Dash returns to Bexhill this December! This family fun event will take place on the beautiful promenade at Bexhill-on-Sea, starting and finishing at the De La Warr Pavilion. Our aim is to put the “Fun” into “Fundraising” and involve the whole town. Participants can run, jog, walk, push prams or use a wheelchair. Prizes will be awarded for best dressed dog, pram, pushchair or wheelchair/mobility scooter. There will be a choice of a 2km or 5km course. It is open to everybody and we encourage each participant to get sponsorship for their own personal charity or good cause to raise a minimum of £20.17 for the year 2017. A link to the sponsorship form will be found on the confirmation email you will receive after payment has been processed. The entry fee will include a free santa suit and also covers the cost of staging the event. Any profit will be used to support local good causes.